Items can be dropped off at the barn the week of Oct. 1st. Please contact Colleen Barkham if you need someone to pick up items or to arrange a drop off. thsbarkham@hotmail.com or 248-652-0712. 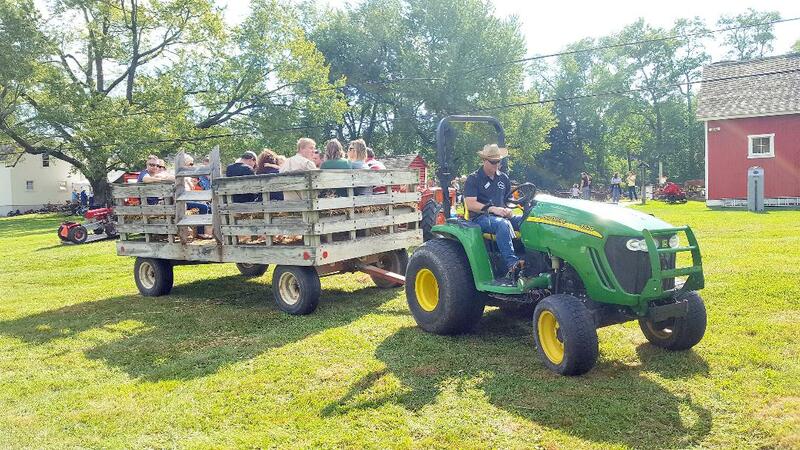 The historic farmstead is open for family fun with hay rides, pumpkin painting, horse demonstrations, chickens, beekeeping, apple history, tractors, games, painting exhibition, corn husking, spinning, and quilting, all set to tunes of banjos, guitar, and harmonica music! Come on down for the fun and don’t forget to stop at the famous Flumerfelt flea-market barn sale to find an antique treasure of your choosing. (Event brought to you by the Historic District Commission in partnership with the Oakland Township Historical Society with sponsorship from the Parks and Recreation Commission and Dinosaur Hill Nature Preserve. Visit our Programs Page for exciting field trips!